No, it isn’t dead. Common sense should tell you that domain flipping is very comparable to being a real estate agent, except unlike real estate, domain flipping isn’t limited and constricted because of a finite supply of physical land. However, most successful real estate agents would also tell you that going into the industry without the proper training and education would be financial suicide, and the exact same principle applies to domain flipping. 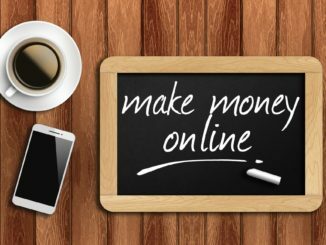 Here are a few things you should take into consideration before deciding whether this is the online business for you. I) The good news is that domain flipping is a constantly replenishing industry because of newly emerging fashions, technologies, trends, and current events; the bad news is that you have to be an obsessive news junkie in order to profit from them. Picture a newly emerging fad, trend, or technology as an ocean wave, and if you can yoke the strength of just one of those waves with well-crafted domain sites, tens of thousands in profit can be made. But domain flipping is a game where you constantly have to keep your ear to the ground in order to recognize emerging trends. If you still rely on traditional, brick-and-mortar news sources to fill you in on current events and what the hot emerging trends are, forget about domain flipping because it ain’t gonna happen. Cutting-edge research and internet-based market awareness are absolutely crucial, and without them, you’ll always be five steps behind with the best domains having been picked clean long before you finally show up. II) There’s a steep learning curve when it comes to domain flipping, and if you’re not conscious of that curve, it can bankrupt you pretty quickly. It does a domain investor no good to buy hundreds if not thousands of dollars worth of domains, only to discover that when it comes to flipping them for a profit, you honestly couldn’t give them away. Domain flipping is not an industry that you go into deaf, dumb, and blind. A few cardinal rules such as “shorter is better” when it comes to valuable domain sites, trying to purchase domains with valuable Google keywords in them, as well as enhancing the value of a domain name by trying to purchase the Big Three (.com, .net, and .org) are just a few tips for success. 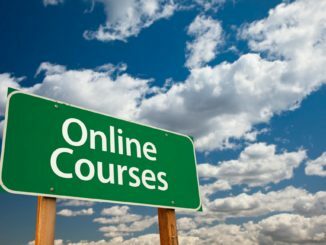 But if you’re looking for real training and education on identifying profitable domain sites, then I’d recommend guys like Gene Pimental and his school domainprofitsacademy.com. No, I am not receiving any referral fees or kickbacks by recommending Pimental to you, because if you’ve done your research on domain flipping, you’ve probably already heard of him. What makes Pimental so good is that his specialty is focusing on domain sites that you can purchase for $10 and then turn around and sell for hundreds and sometimes thousands of dollars. Whereas a lot of other domain sites constantly tout hitting home runs, Pimental is more interested in teaching you how to hit singles and doubles. Eventually, you’ll build up enough capital as well as sharpen your “gut instinct” to be able to identify and hit the home runs and grand slams. Pimental understands that being realistic when entering into an industry is one of the cornerstones to true financial success. The guys who go into domain flipping thinking they’ll be making six figures in just a couple of months almost always quit when reality doesn’t meet expectation. III) Companies that track, compile, and sell domain sites take a lot of the “grunt work” out of finding valuable nuggets of gold…but at a cost. Sites such as Namejet.com, Sedo.com, and Afternic.com are most certainly convenient when finding and locating valuable domain sites, but understand that those sites are also part of the portfolios of domain selling companies (many with over a decade of experience) that will chew-up a noob and spit them out without batting an eyelash. Now, don’t get me wrong. Someone who is new to domain flipping could still do quite well at places like Namejet with the proper training and education. But you should also be under no illusions. A Namejet domain auction is just like an auction in the real world, where you’re squaring off against people with both deep pockets and a good eye for recognizing value. That’s why I strongly suggest that you don’t go into the industry “cold turkey,” but maybe get a month or two of intensive training under a guy like Pimental. IV) Go where the lines are shortest and where there is the least amount of competition. People who have international experience and who speak foreign languages will understand this. Western Europe, North America, and East Asia are heavily-saturated markets. Focus on developing markets with country-specific domains. Pick a place you’ve always wanted to visit, learn some of the language, visit chat rooms and websites were natives are known to congregate, and develop networks and contacts with the country’s investor and entrepreneur community. V) Centering your domain hunting on a niche that you already love will drastically increase your chances of success, while reducing the chances of boredom and burnout. This should be common sense, and if it’s not common sense, then you should understand that domain flipping is just like blogging, building a business on Fiverr, or becoming an Amazon Affiliate. The majority of people who start businesses in these industries quit and drop out before their ventures even sees a dime of profit. But centering your domain hunting on a niche that you already love eliminates a lot of the “work” factor when it comes to domain hunting, as well as giving you the chance to parlay your knowledge of a niche into profitable domains. Use your knowledge of a niche to network with investors and entrepreneurs within an industry in order to locate and lockdown domains with valuable keywords in them. Use your niche knowledge to tailor and build domain sites for companies either looking to buy a website or upgrade to one that’s more compatible to their company’s mission statement (those can be worth a lot of money). Study market trends and try to lockdown country-specific domain sites where a product or trend is really starting to catch fire. Conclusion – Get rid of the “Cinderella Mentality” when it comes to domain flipping. 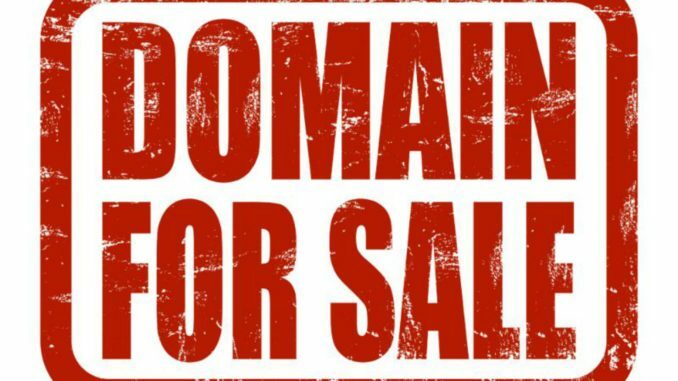 Come to terms with the fact that to become a successful domain seller is very comparable to becoming a successful real estate agent, and successful agents aren’t born that way, they study, research, and have a “gut instinct” that becomes more accurate and fine-tuned with experience and success. Understand that the bulk of people who say domain flipping is “dead” are the people who went into the industry thinking they would become rich overnight. 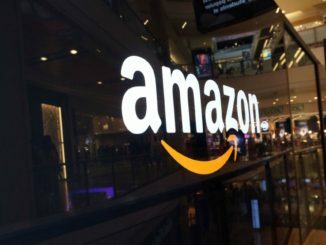 Above all, they didn’t invest the time into researching and educating themselves on what it takes to actually become a successful domain investor.